The only real peace and joy I have ever known have come from knowing Jesus Christ. When my trust in Him wanes, so does my hope for the future. As I slide into despair my usual distractions can no longer drown out the pain. In desperation I remember Christ and cry out for rescue. I hate anxiety and depression, but I’m also thankful that God won't let me be happy when I lose my way. He uses my pain to lead me back to His word, back to his faithfulness, back to his plan. Through these things he restores my perspective, my faith in his goodness, and my hope in Christ. I’m learning to be sensitive to the first wispy clouds of fear and doubt, to recognize trouble is brewing, and to run quickly to him for help instead of groping for ways to take the edge off my feelings. His is the only help that gets to the heart of my problems. His is the only comfort strong enough for life’s terrors. His is the only hope that is eternal. 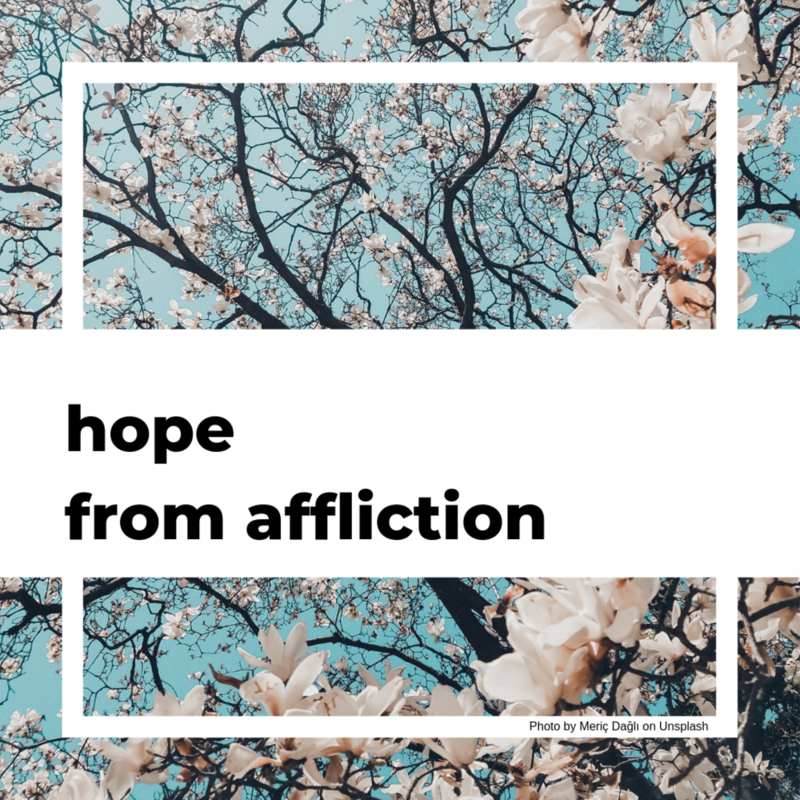 I hate to be afflicted, but after seasons of pain and darkness, I'm thankful that God uses my afflictions for my good and that, in Christ, even depression has purpose. As this spring emerges, all sunshine and flowers, my prayer is that I will keep clinging to Him even as I begin to feel better, that I will remember I'm still in desperate need even when I feel just fine, and that I will not forget that Christ is the only source of eternal life, joy, peace, hope, purpose, and righteousness.